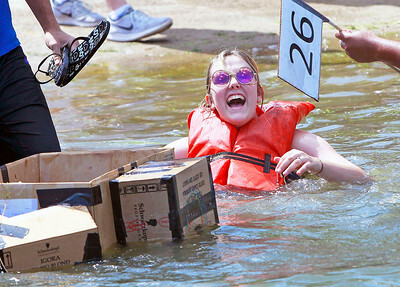 Candace H. Johnson - For Shaw Media Hunter Ruder, of Vernon Hills is all smiles after her Darshwersher boat sank on take-off during the 15th Annual Labor Day Cardboard Boat Races at Lindy’s Landing in Wauconda. 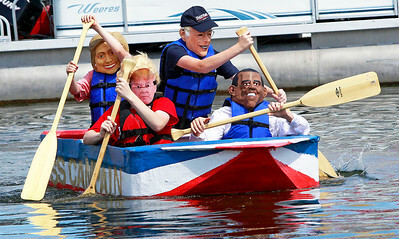 Candace H. Johnson - For Shaw Media Jill Knutson, 10, of Hawthorn Woods and her siblings, Luke, 14, Max, 13, and Roy, 12, paddle to the finish line in the USS Cam-Pain during the 15th Annual Labor Day Cardboard Boat Races at Lindy’s Landing in Wauconda. 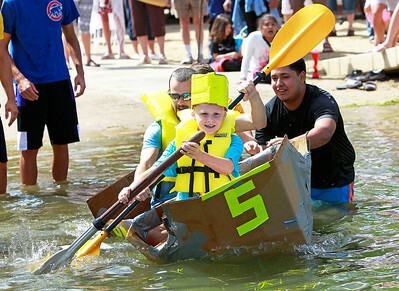 Candace H. Johnson - For Shaw Media Hunter Ruder, of Vernon Hills (center) is all smiles in her Darshwersher boat competing against the Lindy and POSRG-Mario boats during the 15th Annual Labor Day Cardboard Boat Races at Lindy’s Landing in Wauconda. 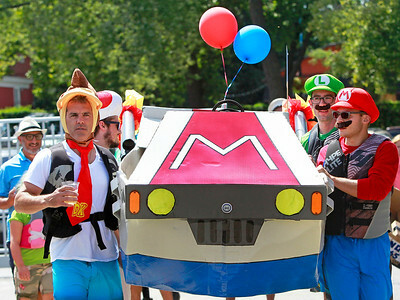 Candace H. Johnson - For Shaw Media John Magro, of Tower Lakes, Jacob Garrett, of Wonder Lake, George Chalifoux, of Chicago, and Mark Sloma, of Libertyville carry their boat named, POSRG, to Bangs Lake during the 15th Annual Labor Day Cardboard Boat Races at Lindy’s Landing in Wauconda. 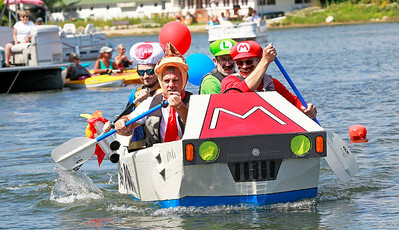 Candace H. Johnson - For Shaw Media John Magro, of Tower Lakes, Jacob Garrett, of Wonder Lake, George Chalifoux, of Chicago, and Mark Sloma, of Libertyville paddle their boat named, POSRG, during the 15th Annual Labor Day Cardboard Boat Races at Lindy’s Landing in Wauconda. 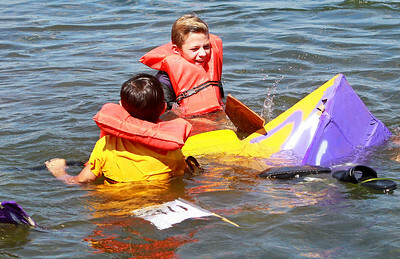 Candace H. Johnson - For Shaw Media Jon Carr, 12, and Patrick Rutkowski, 13, both of Wauconda have fun in the water after their Bulldogs boat sank during the 15th Annual Labor Day Cardboard Boat Races at Lindy’s Landing in Wauconda. 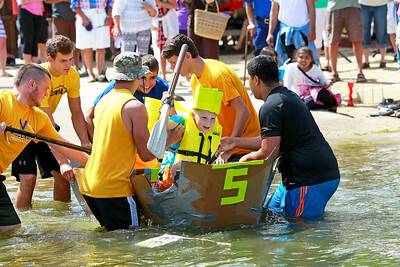 Candace H. Johnson - For Shaw Media Troy Dawson, 22, and his brother, Aren, 10, get a push-off from from Cesar Garcia, 16, all of Island Lake, in their Mellow Yellow boat during the 15th Annual Labor Day Cardboard Boat Races at Lindy’s Landing in Wauconda. 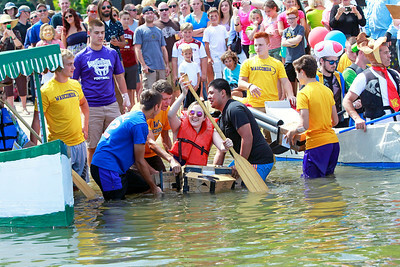 Candace H. Johnson - For Shaw Media Troy Dawson, 22, and his brother, Aren, 10, of Island Lake get some help staying in their Mellow Yellow boat from players from the Wauconda football team during the 15th Annual Labor Day Cardboard Boat Races at Lindy’s Landing in Wauconda. 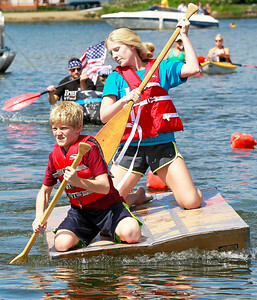 Candace H. Johnson - For Shaw Media Luke Casebolt, 13, of Wauconda and his sister, Megan, 19, paddle ahead of the competition during the 15th Annual Labor Day Cardboard Boat Races at Lindy’s Landing in Wauconda. 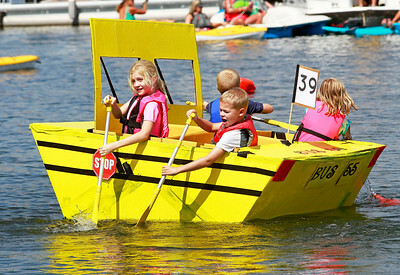 Candace H. Johnson - For Shaw Media Johanna Hart, 8, and her brother, Brian, 7, paddle School Bus 55 with Thomas Thompson, 8, and Lexi Rininger, 10, all of Volo during the 15th Annual Labor Day Cardboard Boat Races at Lindy’s Landing in Wauconda. Troy Dawson, 22, and his brother, Aren, 10, get a push-off from from Cesar Garcia, 16, all of Island Lake, in their Mellow Yellow boat during the 15th Annual Labor Day Cardboard Boat Races at Lindy’s Landing in Wauconda.